We’re fans of cheese, and are always looking for ways to sneak it into our food – shavings on soups, unholy amounts on pasta, calling for cheese-crust pizzas are our go-to favourites. Of course, beginning the day with cheese everyday would be utopian, if only we weren’t bogged down by guilt and the fear of our ever-expanding waistlines. So, we reserve the hedonistic pleasures of cheese-everything for weekends. Whether its a lunch or a simple brunch (solo or with a few friends), we have a few favourites that we can’t honestly get enough of. It helps that the recipes are basic, require minimal effort but taste absolutely wonderful. 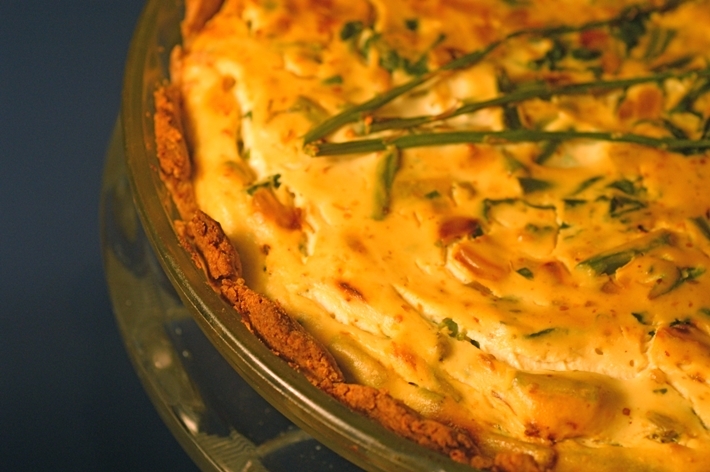 Most quiche recipes call for a pie crust, which is a difficult thing to nail and not easily found at stores in India. This recipe works as a perfect alternative since there’s no crust involved (which makes it gluten-free) – just cheese, milk and eggs. Of course, there’s spinach, which makes it a touch healthy, at least that’s what we tell ourselves. Pair it with some lightly dressed salad, coffee or juice and you have a delightful brunch setting in place. As Indians, there’s no denying our love for paratha. Of course, the classic aloo parathas are great, but these chili cheese parathas come a close second. Simple and delicious, the parathas are made using whole wheat flour, instead of all purpose flour or maida, which has zero nutritional value. Mildly spiced, the parathas combine mozzarella cheese with capsicum, to guarantee a fragrant, cheese-loaded and flavourful bite. Had you at pizza, didn’t we? This one’s the simplest of the lot. Simply slather some pizza sauce on a slice, top it with lots of mozzarella cheese, add a bit of seasoning like thyme, oregano, pepper, butter up another slice and you’re set. You can add a bit of veggies like finely chopped peppers, mushrooms and corn to add a bit of bulk and bite. Use whole wheat bread, instead of the regular white bread, there’s less guilt to deal with that way.